2. In a bowl, take mayonnaise, 2-3 tsp of coriander paste, ½ cup onions, salt, lemon juice. Mix well to make this spread. Though if you wish to store the spread than omit onions and lemon juice and this green mayo mixture can be stored in refrigerator. 3. 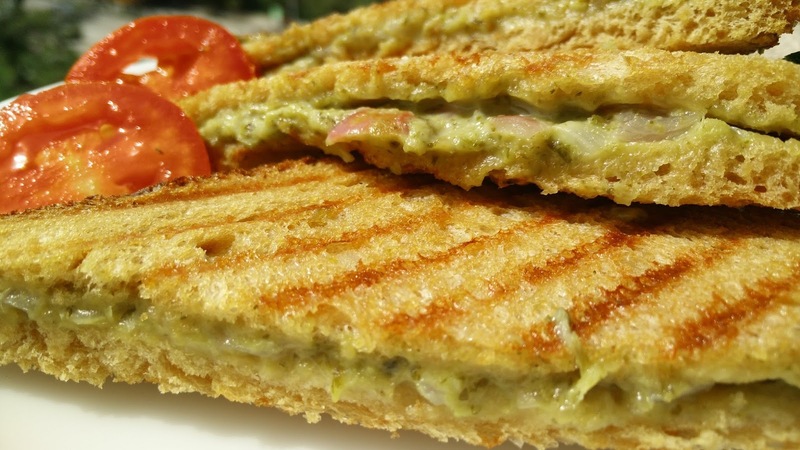 Take bread slices and spread a thick layer of green mayo paste. Heat a griller and grill these sandwiches. 4. 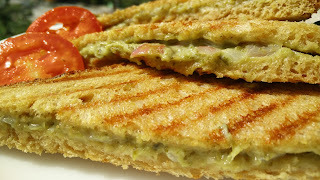 Once grilled serve with sliced tomatoes.